As with other Sight and Sound Deep Focus seasons, this is an opportunity to see rarely screened films. Movies such as The Mistress with Hideko Takamine and The Shape of Night, starring Miyuki Kuwano and presented in a beautifully restored print. Sight and Sound features editor James Bell, who curated Tears and Laughter, discussed with us the season and the importance of the actresses included. Information on the season can be found here. Information on individual films, including screening dates, can be found by clicking on titles below. To read Electric Shadows’ reviews of films that have played in the season, click here. RD: What is Tears and Laughter and how is it different to the Japanese film seasons you’ve done before? JB: Tears and laughter was said of the films of one director we’re featuring in the season, Heinosuke Gosho, in a book on Gosho by Arthur Noletti, Jr. It struck me that it describes many films I was thinking of including. These film are moving as well as funny, with an honesty and life about them. Of Gosho’s films, we’re including Elegy of the North, which stars Yoshiko Kuga. What makes this different to previous seasons at the BFI is a focus beyond the auteur. Not to say there haven’t been seasons of Japanese film beyond that previously. But, for this classic period we often think of the big canonical auteurs like Akira Kurosawa and Mikio Naruse, Yasujiro Ozu and Kenji Mizoguchi. This was a way of looking at their works and the films of other directors, but foregrounding other aspects, primarily the female actors in this case. With Japanese cinema, from the 1930s onward is a dominant position of women: stories about women, stories written by women or based on stories written by women, and films featuring major actresses. Yes, it’s true of Hollywood as well, and you can make comparisons with actresses in this season and some of the Hollywood greats. Kinuyo Tanaka for example is often compared to Joan Crawford or Bette Davis. But, I think it’s kind of unique during this period the position that women had. If you think about some of the great works of Japanese cinema of the period, like Tokyo Story, Sansho Dayu or The Life of Oharu, they’re stories about women. And when you think of those films you think of the great female actors. I decided not to put those films in this season as this was a chance to foreground more difficult to see titles. There are male stars as well, and we’ve spotlighted some of them in this season if people want to look, but it’s led by women. The other aspect that interested me was that in post-war Japan there was a huge social change and opening up to Western ideas. After the war women got the right to vote, there were debates around the legality of prostitution and the geisha figure that is so dominant in Japanese narratives. RD: You mentioned The Life of Oharu, which was Kinuyo Tanaka’s most famous role. But, was one of the editorial aspects of this season that the films selected were contemporaneous to the times in which they were made? JB: That was a consideration. I did consider putting The Life of Oharu in because it’s a classic. It won Mizoguchi the International Award at the 1952 Venice Film Festival, and exposed his work and Tanaka’s to the West in the 50s. Thematically it also fits; the story of a struggling woman, her resourcefulness, her trials and tribulations. But, the fact it’s a period piece made it more of an outlier. 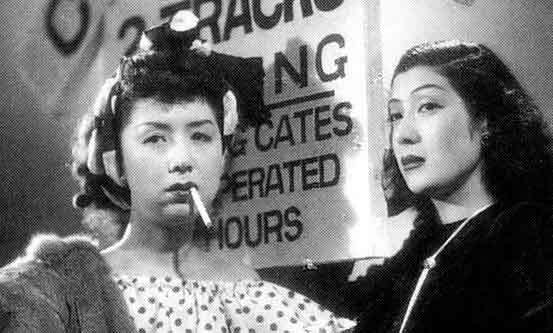 Women of the Night is the Mizoguchi and Tanaka film we have in the season. It was made immediately after the war in 1948 Osaka. Osaka is a bomb-damaged ruined city and the film looks at widowed women, for the most part, turning to prostitution out of desperation. 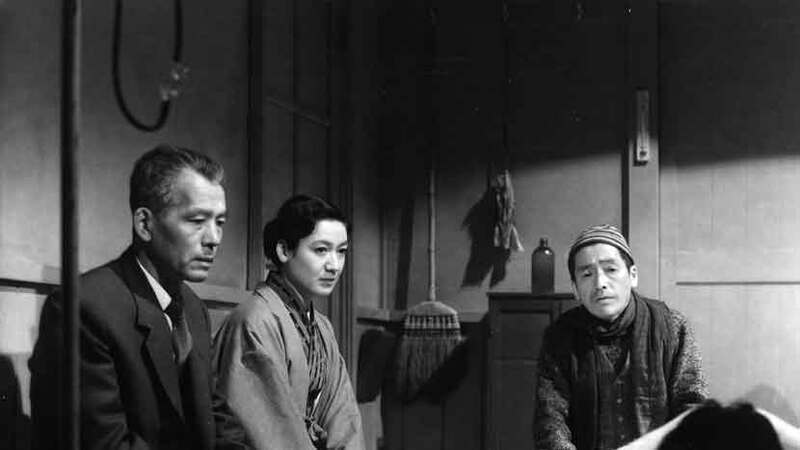 You could call Women of the Night uncharacteristic of Mizoguchi’s films. I think Mizoguchi said he’d seen Germany Year Zero, Rome, Open City and other neo-realist films and was inspired to do this. At the time there was also a shortage of good quality film stock, so the film has this visual coarseness. In it Tanaka is a woman forced into prostitution, and she plays it with an urgent ferocity and incredible physical performance. It’s opening the season and is paired with another Mizoguchi film, Osaka Elegy. A pre-war film, one of two films he made in 1936 along with Sisters of the Gion. Osaka Elegy stars Isuzu Yamada, who I think you’d call Mizoguchi’s great muse before Kinuyo Tanaka. It was interesting to me that both films were set in Osaka, before the war and after the war. Osaka Elegy has scenes of Osaka nightlife and the city scape of that period. They’re both short, urgent, powerful films which is why we programmed them together. Going back to Tanaka, she was the great actress of all of them. A huge star in that period, most known for her work with Mizoguchi. But, she made films with Naruse, Ozu, and also Keisuke Kinoshita and there’s one in the season called Wedding Ring that shows a completely different side to her acting. It’s a melodrama out of the Brief Encounter mould, with more laughter. She’s the wife of a bedbound husband in a hot seaside town. Doctor Toshiro Mifune comes to treat her husband, and there’s a clear attraction between them. She’s flirtatious and does a lot in this film with small gestures and modulating her voice and facial expressions. Women of the Night sees her much more impassioned and urgent, so Tanaka had this fascinating range. RD: The post-World War II era of Japan saw the country not knowing what would happen next. Kurosawa talks in his autobiography of the expectation that the Emperor was going to call for mass suicide, but life carried on. Do you think the films in Tears and Laughter capture this mood and the changes to what was historically a patriarchal society? JB: Yes, I think so. 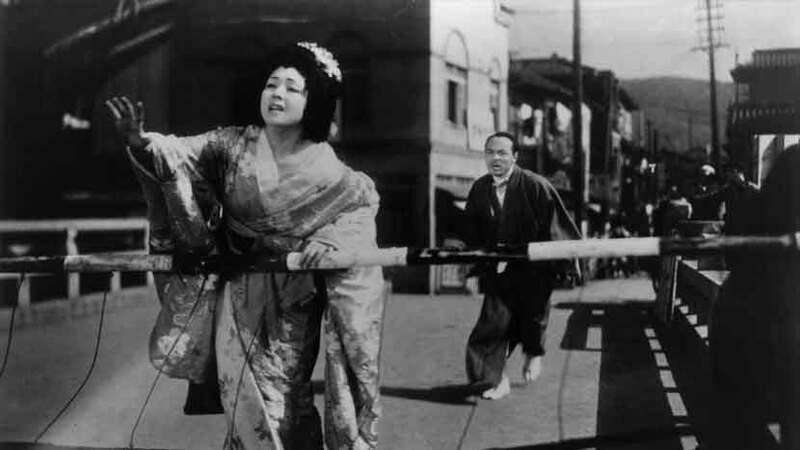 Just focussing on the patriarchal society in relation to the Japanese film industry, until the 1920s female film roles were played by male actors, as in kabuki theatre. To be an actress in Japan was a radical life choice in and of itself. It deferred marriage, it deferred having children possibly. The role of a female actor became an emblem of new opportunities for women. So, with the increased visibility of female actors after the war, it suggests that social change itself. 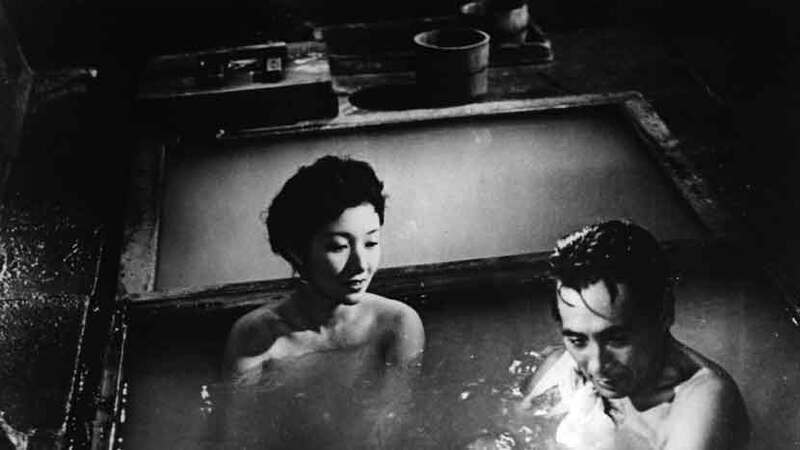 Floating Clouds, the Naruse classic featured in the season, depicts post-war reality. That film’s star is Hideko Takamine. As in so many of her films her character is strong willed, resourceful and tough. It says a lot about how Japanese women had to be in the post-war period in pushing those changes. Another film we’ve included is Clothes of Deception, starring Machiko Kyô, best known perhaps for Kurosawa’s Rashomon. It has been talked about as an updating of Mizoguchi’s Sisters of the Gion. It’s about two sisters, one of whom works in the garment industry, the other’s a geisha. It looks at the classic tension in Japanese cinema, particularly for women characters, between tradition and modernity, accepted roles and breaking out of those roles. RD: How did you choose which actresses to focus on? JB: What I tried to do with Tears and Laughter is choose one film for each director, apart from the Mizoguchi double bill, and also focus on a different actor. Rather than do a whole season on just Tanaka for example. Machiko Kyô was one of the great stars so had to be represented. Clothes of Deception felt like a lesser known one, but is one of the season’s standout films. We were talking about the comparisons between Japanese and Western actors. Kyô was like Marilyn Monroe sometimes for her sensuality, curvaceousness and modern glamour. Clothes of Deception showed a different side to what audiences knew from Rashomon or other films of hers. Setsuko Hara is best known for her work with Ozu, particularly as Noriko from the Noriko trilogy. The result was that her public persona was that of the “Eternal Virgin” as she was known in Japan. Quietly tough, but innocent and accepting. However, if you look at her other films she can be wonderfully vivacious, with a different acting style to the Ozu. For the season I chose her performance in Ozu’s Tokyo Twilight, which is an uncharacteristically dark and melodramatic film for the director. It’s about two sisters, Hara’s the elder, and they were abandoned by their mother and raised by their father, played by Chisu Ryu. It’s dark, with themes of teenage pregnancy, abortion, maternal abandonment: a properly melodramatic movie. Hara’s not necessarily the lead, you’d probably call her co-star Ineko Arima lead. But, Hara gives a wonderful performance with a different edge to her previous films. RD: Reflective of the period, all the films in the season bar one by Kinuyo Tanaka are directed by men. Albeit, Japanese directors famous for female-focussed stories. JB: Yes, Naruse made a lot of films about women, and was kind of a rival to Mizoguchi as a director of women’s issues. 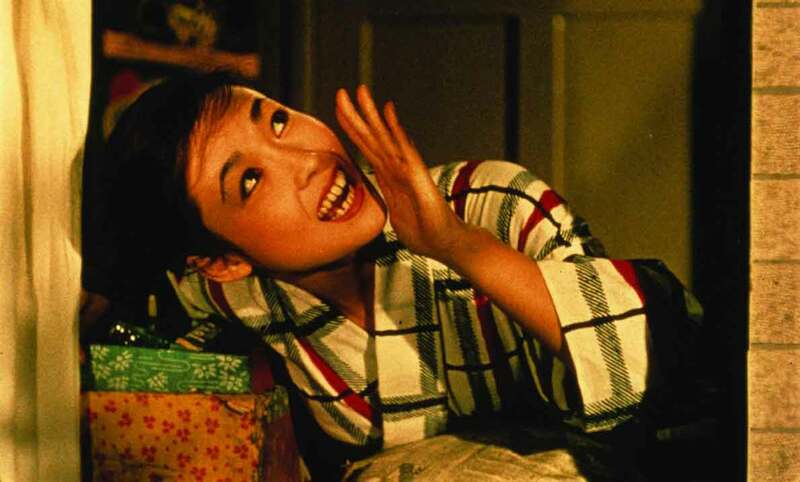 Some of his greatest film are adaptations of books by a Japanese female author called Fumiko Hayashi, who wrote stories about everyday Japanese women, their wants, hopes and fears. I suppose what I’m saying is there is still a female perspective to these stories, in many cases written by women authors. Looking at the Kinuyo Tanaka directed film in the season, The Eternal Breasts, she does bring aspects I don’t think Mizoguchi would have emphasised to the same degree. It’s an interesting story, about the Japanese poet Fumiko Nakajō, again a radical, who is abandoned by her mother and husband. But, she has a drive and resourceful to succeed. She’s a woman with agency, who has love affairs and is represented as a fully rounded character. It’s an unusual focus on women’s issues that I don’t think you’d find in any films around the world during that period. 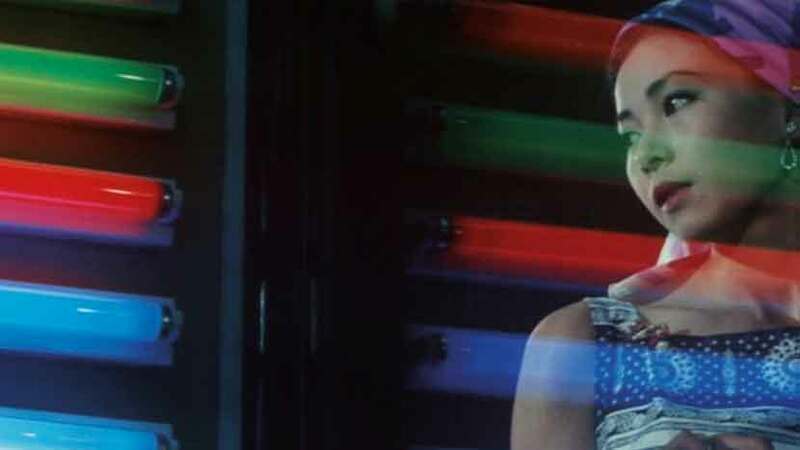 The central character has breast cancer and the film depicts how she copes with her illness. RD: Is that the reason you chose that particular Tanaka directed film of the six she made? JB: I also wanted to show her debut, Love Letter, but it was unavailable. But, The Eternal Breasts did surface women’s issues more than other movies. Tanaka has said that in Japan’s post-war moment, with Japanese women having the vote, being in parliament and having new opportunities, she asked herself, what do I do now? She was an actor reaching a certain age, lots of her peers were retiring to have children. But, Tanaka wanted to direct and she had clout in the industry. She had support from Naruse and Ozu. 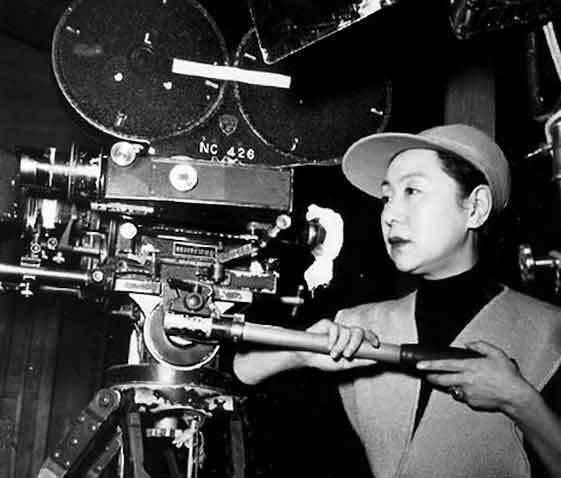 Mizoguchi was actually quite resistant to the idea of her becoming a director. But, as a director Tanaka was careful to let other female perspectives come through: she hired female screenwriters, she worked with production companies that had women in key roles. She was creating a space for female subjectivity and authorship. She wasn’t the first female Japanese film director. Tazuko Sakane was a wartime director who made propaganda films. But, Tanaka was the only female director of the Japanese Golden Age as far as I’m aware, so hers is a remarkable story. RD: Of course, at the time of the films in the Tears and Laughter season, Hollywood was also going through a Golden Age of melodrama. How did melodrama manifest itself differently in Japan and were there any similarities? JB: For the films in the early 1950s, melodrama is of a subtler kind. The focus is more on a coming decision, dealing with a failing marriage for example, and a concentration on the small details. A Japanese restraint, quietness and focus on the intricacies of life. I think, say, Douglas Sirk’s movies are more overblown. Wonderful for it, but I don’t think you find in Hollywood what these films have. Although one film we have in the season is called The Blue Sky Maiden by Yasuzo Masumura. It’s kind of a Cinderella story, in full colour and it seems to me that Masumura had seen Douglas Sirk. It stars Ayako Wakao, who was an interesting figure I wanted to include because she was almost of a new generation of female actors. We talked about Isuzu Yamada in the pre-war period, and Setsuko Hara and Kinuyo Tanaka who started working before the war and into the decades after. Ayako Wakao was younger and came of age in the post-war period. She represented new Japanese youth, new sensibilities, and a Westernisation I suppose. In The Blue Sky Maiden, she plays a country girl who is told she’s the illegitimate daughter of a successful man from Tokyo. She travels to Tokyo to meet his family and the question is, will she be accepted? Wakao made daring, controversial films with Masumura during the 60s, but one of her first films was Mizoguchi’s 1953 film A Geisha. She’s an interesting bridging figure between the New Wave and classical Japanese cinema of the Golden Age. RD: Are there any personal favourites from the season? JB: Can I shift that question to talk about Hideko Takamine? Alongside Setsuko Hara and Kinuyo Tanaka, she’s maybe one of the three great Japanese actresses, and one of the better known in the West. As Tanaka was to Mizoguchi and Hara was to Ozu, she was to Naruse. Takamine was his great muse and the actor you associate with his work. She has an almost peerless ability to convey any emotion through small facial expressions. In the season we have Naruse’s Floating Clouds, one of the classics. It’s slightly atypical in that it’s more overly dramatic than some of their other films we wanted to show but couldn’t for assorted reasons. But, having Floating Clouds is no great hardship. There’s another film of hers in the season called The Mistress, also known as Wild Geese, by Shiro Toyoda. I’d recommend that. The quiet moments of truth in that film, particularly in Takamine’s performance, I find incredibly moving. One of the virtues of doing things thematically is the chance to feature work by directors such as Toyoda, of whom Donald Richie writes approvingly in his books. Films such as these are rarely seen in the West. Another great film we’re showing is An Inlet of Muddy Water, which beat Tokyo Story and Ugetsu to the top spot in the 1953 poll in Kinema Jumpo magazine. It’s a triptych of stories based on the work of a female writer from the 19th century called Ichiyo Higuchi. There are a lot of actors in it who aren’t big stars, but whose presence lights up any film, including the great stage actor Haruko Sugimura. Tears and Laughter is an opportunity to also showcase the work of lesser known directors such as Shiro Toyoda and Tadashi Imai, who made An Inlet of Muddy Water. Imai made lots of films in this period, which for the most part are unavailable on DVD in the West. The burst of youth in the 1960s occurred in Japanese cinema as in other countries with their New Wave. One of the key actors here was Mariko Okada, who made a series of anti-melodramas with her husband Yoshishige Yoshida. The film of hers we have in the season is An Affair at Akitsu, their first collaboration. Okado worked with Mizoguchi, but she’s best known for her work in the 60s. An Affair at Akitsu was almost a summation of the big swooning full blown orchestral melodramatic style, before the New Wave broke. It’s not screened very often so is a nice one to show. And then the final film of the season is The Shape of Night, again, rarely screened in this country. Made by Noboru Nakamura who was considered a journeyman director, this film is a real rediscovery, in a beautiful restoration. The actor in it is named Miyuki Kuwano. Again, not very well known, she didn’t have much of a career after the 60s. She also appeared in Red Beard by Kurosawa, Naked Youth and Death by Hanging. The Shape of Night is a bridging film that captures a number of tendencies in Japanese cinema of time. It feels like a Naruse film in many ways, but there’s an edge and a rawness that shows the uglier side of life that Shohei Imamura would include in his films. A violence and perhaps pulpiness too. It’s a real rediscovery, so people should take the opportunity to see this film. RD: Thank you very much for your time. Any concluding thoughts before we wrap up? JB: To go back to the beginning, remember Elegy of the North, the Heinosuke Gosho film? 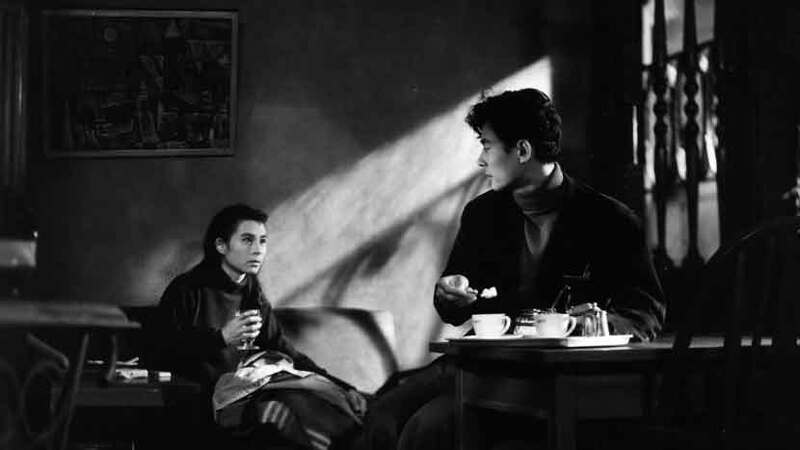 That Japanese tendency to quiet contained melodrama we’ve talked about… Elegy of the North goes totally the other way. That film is everything and the kitchen sink, so I’d recommend checking that out, particularly as it’s rarely screened. And that’s what I like about this season, it’s an opportunity to showcase the work of great, but lesser known figures. Many thanks to James Bell and the BFI for making this interview possible. Tears and Laughter: Women in Japanese Melodrama runs from 16th October – 29th November at BFI Southbank. The November issue of Sight & Sound includes a piece on the actors featured in the season by Japanese cinema expert Alexander Jacoby; Jacoby will also take part in a season introduction on 17th October alongside the BFI’s James Bell and Alejandra Armendáriz-Hernández of the Japan Foundation. Looking forward to the season and the s&s article. Great to have the chance to look at some of the actresses of this period. Especially as Japan was in its post war flux with European influences. Looking forward to the neo realism inspired Women of the Night and Osaka Elegy. It’s strange to thing that men had the female roles in the 20s she to kabuki traditional theatre. Fascinating.